We don't get widespread fog all that often along the Front Range, typically it just lurks around the river basins. But early this winter we were treated to some perfect fog conditions coupled to a light frost that really lent a special feel to the landscape. 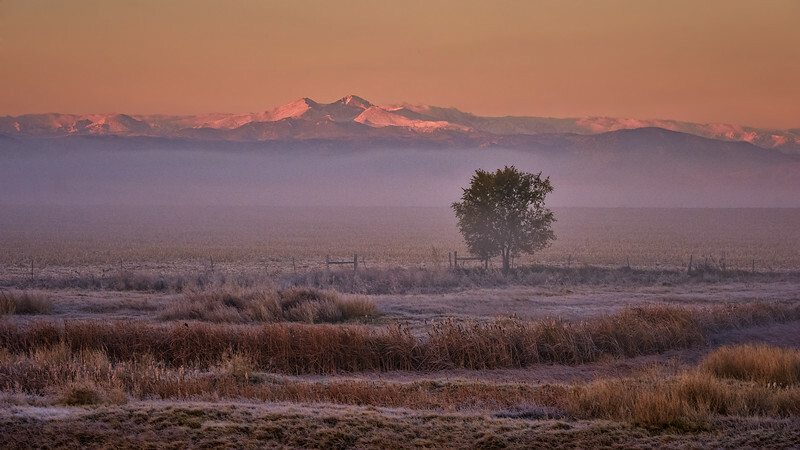 This image was taken just east of Fort Collins looking west towards the Rocky Mountains catching first light above the fog.